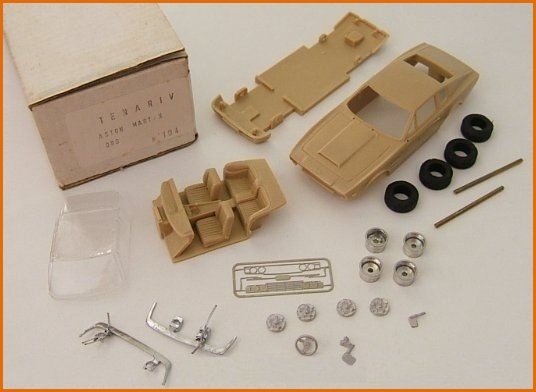 Tenariv (which is a palendrome of Viranet) is a French company created by Jean-Pierre Viranet in 1980 and which produced 1/43 scale model kits. 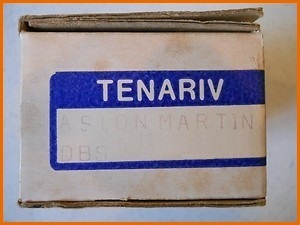 The company website (http://www.tenariv.com) underlines Jean-Pierre Viranet's passion for 1960's cars, and during 28 years he created more than three hundred remarkably high quality models before Tenariv finally closed down on 28th February 2008. 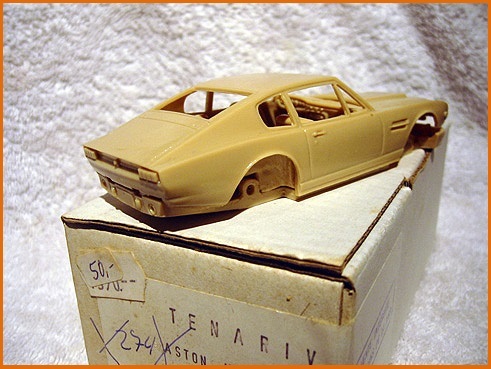 Following the company closure, Jean-Pierre Viranet sold off his personal collection which included assembled and painted copies of every model produced, some of which may still be for sale. 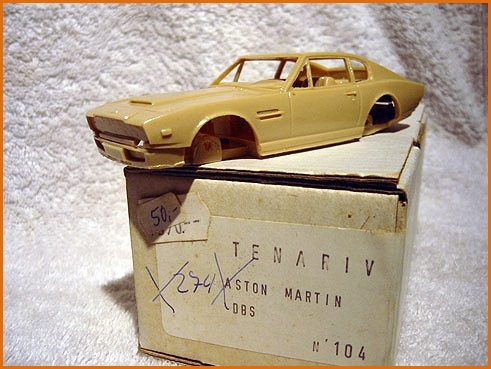 Amongst the kits produced is reference number 104, an Aston Martin DBS whose reproduction is of the same high quality as the rest of the collection. Below are some photos of the kit as it appeared in its original box as well accompanied by the official photo of the final assembled product (probably by Jean-Pierre Viranet himself). 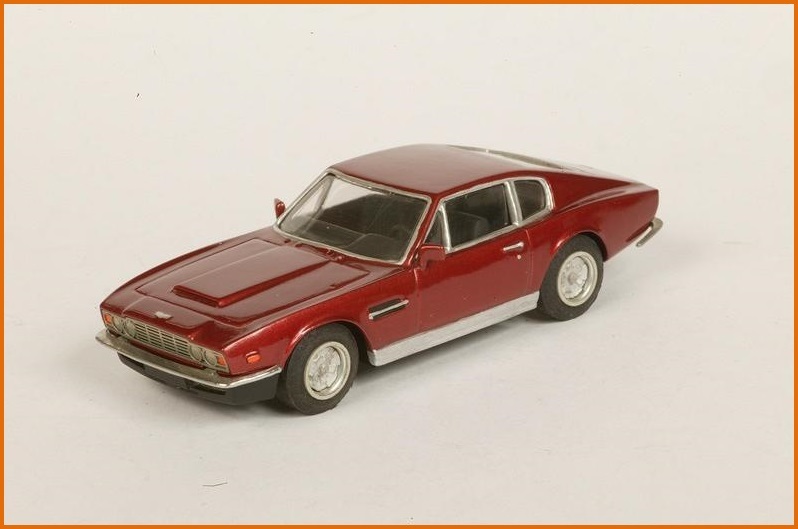 The DBS is represented in resplendant Dubonnet Rosso.